Jessica Donnan is probably more known to you as Jessica Draws, she is a growing illustrator out of Wales and since her degree has worked in numerous areas of the design community.Jessica Draws, real name Jessica Donnan is a graphic designer and illustrator based in Cardiff, Wales. 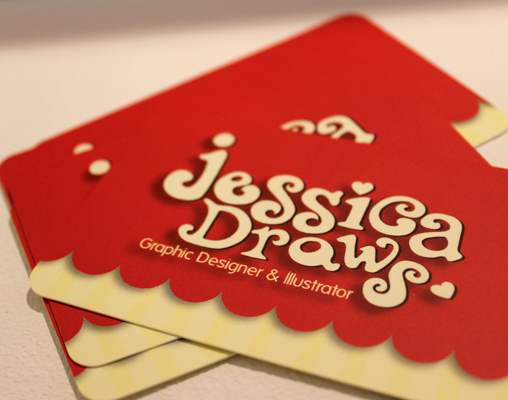 Since graduating from a degree in Graphic Communication in 2009, Jessica has worked in many areas of the design industry to gain as much experience as possible. She has worked in a major greetings company designing festive products like cards and wrapping paper, as a freelance web & graphic designer and most recently as a mobile apps designer for a Cardiff based Mobile apps company.